When the founders of Tesla Motors set out to prove that electric cars could improve upon gas-powered vehicles, one of the earliest roadblocks they encountered was something much less grandiose. “The main thing is that all companies, but especially start-ups who have a lower budget, should not be focused on the domain name. 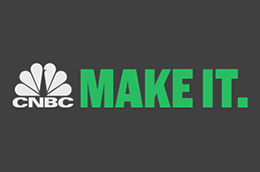 They should be focused on creating the most powerful brand name they can get and using a modifier if necessary in the domain,” Jay Jurisich, CEO and creative director at naming and branding agency Zinzin, told CNBC. “They’re at TeslaMotors.com even though they’re moving into territory beyond cars. That modifier is not hurting them and they don’t change their brand to match their domain. They’re not branded as Tesla Motors, just Tesla,” Jurisich added. Tesla’s domain registration story is one that entrepreneurs should note. The challenge of coming up with an iconic name from day one is often overwhelming for start-ups. Even if a company can find a brilliant name, sometimes they’ll run into the Tesla problem and can’t get their name registered as a dot-com address. Blake Irving, CEO of domain name registration website GoDaddy agreed, saying while dot-com is still the king, certain extensions matter more in certain markets. “In Mexico, ‘.mx’ is actually more important than .com. In Germany, ‘.de’ is actually more important than dot-com. Brazil, ‘.br’ is more important than dot-com,” Irving said. Besides using a different extension, entrepreneurs should relax and focus more on other ways to increase search engine optimization, or the ability of search engines to find a particular website. “There’s other factors in SEO that are more important and even though having the name in the domain is one of the factors for SEO, that’s not diminished by having modifying words,” Zinzin’s Jurisich said. While the first step to establishing a brand’s digital identity is often just registering a domain name, that isn’t enough, according to GoDaddy’s Irving. He argues that people shouldn’t “waste” their domain. “If you’re going to stand up a domain and if you have a certain number of them and you have an idea, then point it at something. Point it at something that’s meaningful,” Irving said. For example, Irving redirects traffic from his website to his LinkedIn profile, something that anyone can do. In other words, there’s no point in registering a domain without having it provide information about a brand, whether that’s an individual or a company. Having a domain redirect to a social media profile is already infinitely more helpful than a “page not found” notice. “That’s owning your digital identity. It’s one of the most important things that you can own,” Irving said. What’s in a brand? A lot. A well thought out and executed branding strategy will do more than having an exact-matching domain. “Don’t overlook the importance of initial branding. It needs to be given primary importance as to the overall business plan,” said Davis. The lack of a branding strategy will lead to loss of momentum because entrepreneurs “waste valuable resources trying to explain what they really do,” he added. “If you have a very powerful, unique differentiated name, you will get people talking about you. People remember it. People share your brand via word of mouth and social media,” Jurisich said. “The deciding factor for a domain should be the number one thing on your list. It needs to convey the essence of organization or it needs a name that provides not just a name but a platform to further tell the story,” he said. Again, Tesla illustrates this point. This year, after about a decade of waiting, the company finally is in control of the Tesla.com domain. « Why are all my clothes named after humans?